Fullstop is a project reaching out to the community of Tauranga by way of a food van. Six nights a week a dedicated team of (100+) volunteers pack up the custom made van with soup, sandwiches, milo, juice, fresh fruit etc that the preparation teams have provided and hit the streets. Not all children that come to the van are hungry - we are there to help where we can and put caring into our community by offering friendship, a listening ear, and building of relationships. 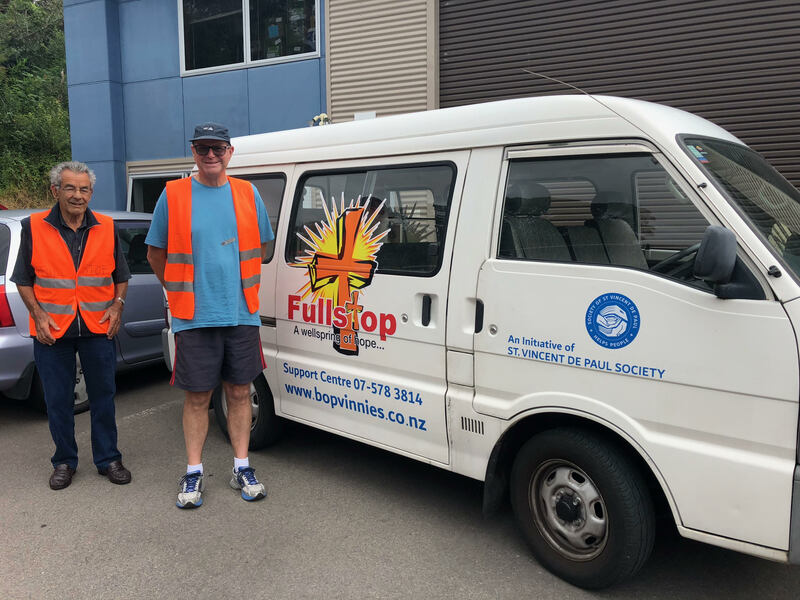 We have had 11,000 people attend our van over the last 12 months and Fullstop has been operating in the Bay of Plenty community for 12 years. To download an application form for volunteering please click here. To download a Police Vetting Form please click here. We have two teams: Food Preparation Team and Van Run Team. Food Preparation teams prepare the sandwiches, fruit and drink either in the morning or afternoon (flexible). Van Run teams collect the food and drink and take the nourishment to the suburbs listed below. We always need more volunteers and donations of fresh fruit.